. . . Beheld the Gods all, sweatless, steady-eyed, their flower-wreaths fresh and dust-free, as they stood, touching not the ground; but he, doubled by his shadow, his flower-wreath withered, stained with sweat and dust, standing on the earth, with eyelids tremulous. . . .—The Story of Nala. I have a friend who, I think, has come back to us after many lives among the braves: has come back, wrapped in the breath of wild, mighty forests, touched with the bronzed twilight of gaunt mountain-summits, the whir of the eagles’ wings still resounding in the ears. And dwelling among us somewhat aloof, still longing for his great rocky solitudes, a stranger though very welcome, he has found his way to our books, and is comparing their spirit a little curiously with the great earth-breath and air-breath and night-breath that coursed so gladly through his untamed heart. Whatever this wandered says of our books is well worth hearing; it is good for us to see how they look, mirrored in eyes that gazed across the western ocean from some lava-knotted precipice, as the sunset shot up molten over the rainless sea; good especially to hear what he says of our religions, and what aspect they bear, to him so newly come back from the heart of mother earth. And one day he found together the Gospels and the Upanishads, books esteemed greatly holy, so different in time and age and tongue, yet so full of things dear to our hearts, as they turn back wearied by the commonplace of the world. One knows not exactly why, perhaps because they are so much better translated, perhaps because of their very strangeness—the quality of sweet reasonableness being somewhat unknown in the lands of the braves—but at present my friend is altogether for the Gospels, and will not hear of the Upanishads at all. The Evangels of Israel, he says, are deeper and clearer and broader and longer than the Indian Books of Hidden Wisdom. And as all things this sky-clad critic says are full of deep suggestion, even when they are the very opposite of what one expected from him. 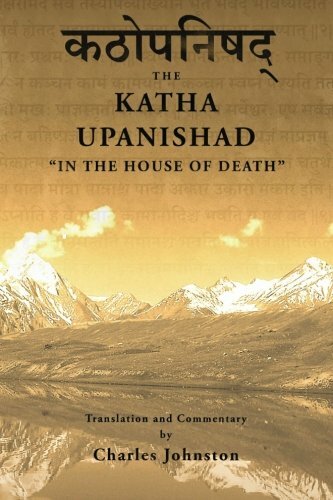 I fell a-thinking as to how the difference he so clearly feels between the Upanishads and the Gospels might be described; what names we could give the one and the other, and as to bring the truth about their natures to light. First, the Gospels—to us a joy and a sorrow for so many generations, to him so new and strange. One need not enter at all into asking what persons or personages stand between them; one can take them as they are, in themselves. And the first thing that is very clear about them is, that they are poetry, full of imagination and color, full of natural magic. This is pure poetry, and nothing else: Consider the lilies how they grow; they toil not, neither do they spin; yet Solomon in all his glory was not arrayed like one of these. And again, what excellent poetry is this, spoken very likely among the vineyards: I am the vine, ye are the branches. Every branch in me that beareth not fruit, he taketh it away; every branch that beareth fruit, he cleanseth it that it may bear more fruit. Aldready ye are clean. . . .
What exquisite feeling and beauty in it all; in the goodly pearly, the prince’s marriage, the lost sheep, the fig-tree, the wedding-feast. Each one of them a compact little poem, not a word out of place, with that perfect economy of beauty, from which the rough handling of the ages can break off no superfluous fragment. Yet our life is concerned with other things than beauty, though it should be greatly concerned with beauty too. Our life is concerned chiefly with two tings, that a quaint old document calls our duty to God, and our duty to our neighbor. And here, it seems to me, the real difference between the Gospels and the Upanishads comes out. The poet of the lilies and the vines was largely occupied with these two things, and found for each of them an expression full of sweetness and light. That wonderful power that approaches our hearts and minds from within, and kindles in them a strange, infinite light; that power that the framers of the quaint old document called God, the poet of the lilies called the Father, the Father of us, he in the heavens. And with abundant riches of sentiment, with the warmest of color, with the high poetic beauty, this is insisted on: that our duty is to love the Father of us, the Father in the heavens. Then our second duty; here the quaint old document has borrowed from the poet of the lilies that happy phrase of his, our neighbor, taken from the poem of the pitiful Samarite and his olive oil and wine. Here again we have a precept of admirable beauty: to love our neighbors as ourselves. So far the Gospels. Then the Upanishads. What is most potent there, in the Books of Hidden Wisdom, is not rich imaginative beauty, warm coloring, the magic glow of poetry, though they are full of beauty too. What is most potent is a high, lonely intuition that wraps us out of ourselves, and calls us away into the great silent depths of being; where the wide waters of life roll for ever; where the fiery breaths of endlessness pour in upon us, and thrill us with a sense of new mightiness, pouring into us a power as of vast antiquity that is still for ever young with the youth of the immortals. Verses like these: As from a glowing fire, kindred sparkles come forth thousandfold; so from the Eternal, manifold beings come forth, and return again to the Eternal. That Seer is never born nor dies, nor is it from anywhere, nor did any become it. Unborn, everlasting, immemorial, ancient, smaller than small, mightier than mighty. In the highest golden veil is the stainless, partless Eternal; this is the shining, the light of lights, that the self-knowers know. The sun shines not there, nor moon and star, nor this lightning, nor fire like this; after the shining of that, all shines; from the shining of that, all else receives its shining. Sentence after sentence like this one might gather, hour after hour, from the Books of the Hidden Wisdom. Here is beauty, and high poetic force too, though not the trailing luxuriance of the poet of lilies and vines. Beauty and high poetic force, though these are not the chief things, but only secondary to the aboriginal light of intuition. Yet, when this is said, all is not said; for the supreme worth of the Upanishads is the face they put on the two duties of the quaint old document, the duty to God, the duty to our neighbor. For they first, instead of the Father of us, he in the heavens, they give us the supreme Self, the lonely Eternal. And our duty to this most real Self is simple and splendidly natural: our duty is not to love, but to become that supreme Self; to realize that we are, and have ever been, that supreme Self; to enter boldly into our own infinite eternalness, to know that we are the All, the glowing Eternal, whence the kindred sparkles came. And the second is like unto it; instead of our neighbor, receptive of olive oil and wine, we have the supreme Self in all beings; he who realizes all beings in Self and Self in all beings, thenceforth sorrows not any more. Not so tender, so sweet, perhaps, as the Father and the children, even if these are some day to be perfected into one; not so tender, perhaps, yet, it seems to me, far fuller of potent reality, stirring the infinities within us, calling us forth to be, not children of the realm but lords, or rather supreme Lord of the kingdom, by primeval birthright and inborn majesty. Not so tender, perhaps, but far nearer to reality, to that great, strange power within us that is already stirring into limitless being. The Gospels, with their message of humanity, like that mortal who, doubled by his shadow, his flower-wreath withered, stained with sweat and dust, stood on the earth with eyelids temulous; the Books of Hidden Wisdom, the Upanishads, with their intuition of that dread primeval Self, like a message of the Gods, sweatless, steady-eyed, their flower-wreaths fresh and dust-free, touching not the ground.